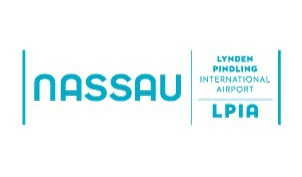 Nassau, Bahamas – March 25, 2016 – At 3:38pm, Nassau Airport Development Company (NAD), operator of Nassau International Airport (Lynden Pindling International Airport), received information from Airport Rescue and Fire Fighting Services that JetBlue flight 029, en route to Nassau from Washington DC with 97 souls onboard, declared an emergency landing upon approach. The aircraft landed at 4:37pm without incident and was immediately met by the Airport Rescue and Fire Fighting team and other emergency responders. The passengers were safely removed from the aircraft and were evaluated by medical personnel, no injuries were found. NAD is working in full cooperation with JetBlue’s local team and all airport and agency partners to secure the aircraft and evaluate the condition of the runway. At present, airport operations are proceeding as normal with aircraft landing and taking off using the other active runway.